Hello all, first time poster, having been a reader for a number of years. From a lovely picturesque little town called Eden down the bottom of the NSW Far South Coast. All quietened down again now here after one of the more interesting weeks in recent times. Just as well since I fly to Melbourne this arvo! Plenty of thunderstorm activity after what had been a fairly quiet summer locally. We tend to miss a lot of the storms to the north or south, but we copped a couple of direct hits this week. Unfortunately didn't get any photos this time, but Wednesday evening's storm was a cracker, lots of lightning and plenty of heavy rain. Yesterday's change was nothing special for us though. Nothing like what occurred further up the coast that's for sure! Also in the Commercial Fishing Industry, fishing has been absolutely terrible recently, thanks in part to the drought (as odd as it might sound) and to an abnormal cold water current pushing up into the east coast over the past month or so. This current has also influenced some of the cold water temps at beaches, as mentioned above. The good news is, apparently this current is likely to move offshore over the next couple of weeks. Welcome SapphireCoast82. I don't think theres anyone on here that lives that far south so would be interested to see your observations . Bit of a drizzle has arrived here allowing the temp to drop about 1c. A very welcome change today compared to the past few weeks. Currently still 26.6c indoors but it feels fantastic. Yes, welcome SapphireCoast82. Eden is a beautiful place. I've only stayed there one night, on a road trip early this century. Had a meal and a couple of beers in the Eden Fishermens' Club. It will be good to have reports from the far South Coast. So it is currently a drizzly 19 in Sydney (truly disgusting*) and the forecast, just posted, is for a minimum of 21 overnight. The only way I can read that is we are at the coldest it is going to get right now and it can only warm up from here into the evening. Which is a good thing isn't it EddyG? *True to form, the outdoor lunar festivities begin around the city today and the weather is crap. I know one guy performing outdoors tonight in the festival and he said they can't perform if it is wet. So good on you Sydney weather, you have ruined things again. This is exactly right, I know we need the rain but its been a disaster for ice cream vendors today and probably also a publican's nightmare tonight. Luckily there was cricket on TV today, I even had a little siesta after lunch. Yeah welcome to you SC82, it's a very nice area down there. So one new member from Araluen and one from Eden now, they will make very good additions to the scope of the NSW forum. I'm happy we had a cool day today, made working a breeze. Reached just 15°C up here. Keen for the return of mildly warm weather though and maybe a very hot day here and there but not 2 weeks straight of it. Its been pretty bad up here too for a couple of years, mainly the prawning industry is struggling big time!! Constant drizzle here since about 4:30pm, a welcome change from the last hot sticky two months, despite what others think, I'm lovin' it. There's been persistent light rain for several hours here, adding up to 3 mm so far (Chatswood). I agree that the Sydney forecast looks odd, with a temperature range of 21-27, given that it was 19 when it was issued and has dropped to the low 18's since. Weather.com says 18-26. My guess, given the cloud is expected to stick around at least until late tomorrow afternoon, would be something like 23-24 but then we had 26-27 degree marine layer days in January. We'll see. This is actually a common pattern I remember from past years, less common now. A very hot day, a Southerly Buster then a 'cold' day, often a run of them, before 'recovering' to average. If you ever want to see an example of heavy drizzle(a thing?). The A league game on now at Homebush is awesome on tv as can see the trail of the ball on the grass. The rain rate has lifted, with some useful totals building, now up to 5 mm at Chatswood, 4.8 in the City. Sea temps dropped 2.7C degrees today offshore Sydney in 25 hours. Down to 20.3C at 6pm according to BOM. It was 18° in Newcastle yesterday. I suspect it will heat up next few days. Moderate drizzle here. I love that I still am close enough to the coast to get a decent sea breeze and decent drizzle which should acculturate if it keeps up. Just what the land need's after the heat. 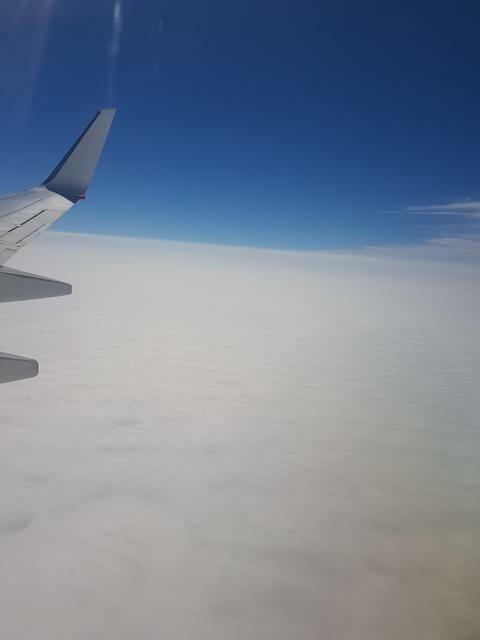 Picture of the long cloud before landing in Sydney today, it's like a blanket. Off to the South Pacific tomorrow. TH radar not showing up the drizzle/rain too well, we've had almost 4.5mm since 4:30pm, yet nothing is showing up on the rainfall since 9am map. Cool pic Perfect Storm. Amazing the contrast, it's like we went from a Feb day to a June day within a 24 hr period. 23mm of steady drizzle since about 4pm yesterday at Sydney Obs Hill. Still drizzling my place now. Nice picture Perfect Storm. The marine layer looks much better from the other side. It wasn't drizzle here last night but steady light rain. It's eased off for the moment. Chatswood has accumulated 19 mm. 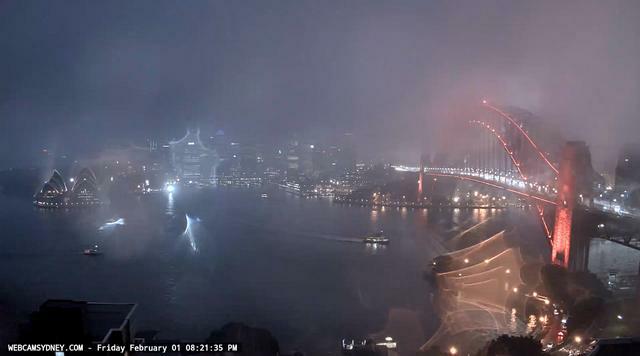 Across Sydney, falls have been over 10 mm East of about Olympic Park, falling away to a few millimetres in the outer West. I see that the BOM has downgraded Sydney's forecast to 25. Makes more sense. It looks as though the temperature did rise overnight to about 21. Solid overcast and very humid now. We've had our rain, so this cloud can go away now, but it will probably hang around until tonight. Some big totals overnight in the far south of the Mid North Coast. Forster 73mm Nabiac 107mm, Willina 115mm and just 3.3mm here to 9am. So close but yet so far!! 7 registered (Knot, StormCapture, Homer, Warmfront, mysteriousbrad, 2 invisible), 61 Guests and 3 Spiders online. Generated in 0.026 seconds in which 0.011 seconds were spent on a total of 14 queries. Zlib compression disabled.